Click Here!! 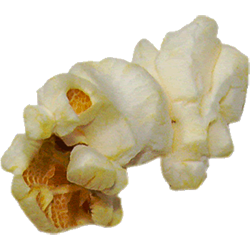 Get A Free Popcorn Popper! We would love to hear your thoughts on our NEW website! We don’t make you wait until you’ve entered all of your personal information, before we show you what your cost is! Back by popular demand, we are offering FREE SHIPPING on many items we sell! 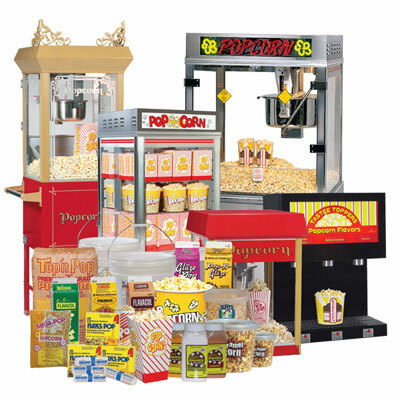 We are also offering FREE Delivery on many popcorn products, cotton candy supplies, and equipment! We have totally rebuilt a brand new online store! It is our hope that within the following pages you will find many great ideas, and a full line of our “fun food” equipment and supplies. Since we are always adding to our website, please contact us if you do not see what you are looking for. There is a good chance that we can be of assistance! So whether you are just getting started or firmly established, we can help with all of your concession needs! 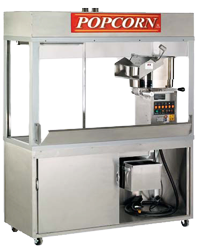 We offer premium quality popcorn machines and a wide variety of concession equipment and products, at very competitive prices! Factory-Direct shipping allows us to hold our costs and margins down, which we then pass on to you, in the form of savings. If shipping is charged, any freight charges are based on product weights, and shipping distance. Please contact us for additional savings on large, multiple, or pallet quantity orders. Some items may be transported to us, in large quantities, and stocked in Oregon. This may allow for greater savings, for local customers, which we will gladly pass along! Our knowledgable sales staff has more than seventy combined years of experience in the concession industry! We specialize in matching your budget and specific operation, with the proper equipment and supplies, thereby maximizing your profits! Our Service Team is professionally trained to service and repair all of the products we sell. Regularly attended technical seminars and manufacturer sponsored service schools, keep us up to date on the latest upgrades and improvements. Your security and privacy is very important to us. We have taken every precaution to build a very safe and secure shopping experience. Afterall, we want you to feel comfortable enough to come back! Please take a minute to familiarize yourself with our privacy, shipping, and warranty policies. Please do not hesitate to contact us if you have any questions. Get a Free Popcorn Popper!